It’s fun to find something like this when out walking. A place to sit and rest, or a shrine? Was there a “Fairie Door” on the tree? I’ve not made it to that arboretum. You must have been there last week, in the break of good weather. Now that poor little house is likely buried by snow! Exactly. I’m sure it is. I hope it’s not the only place, Beth. 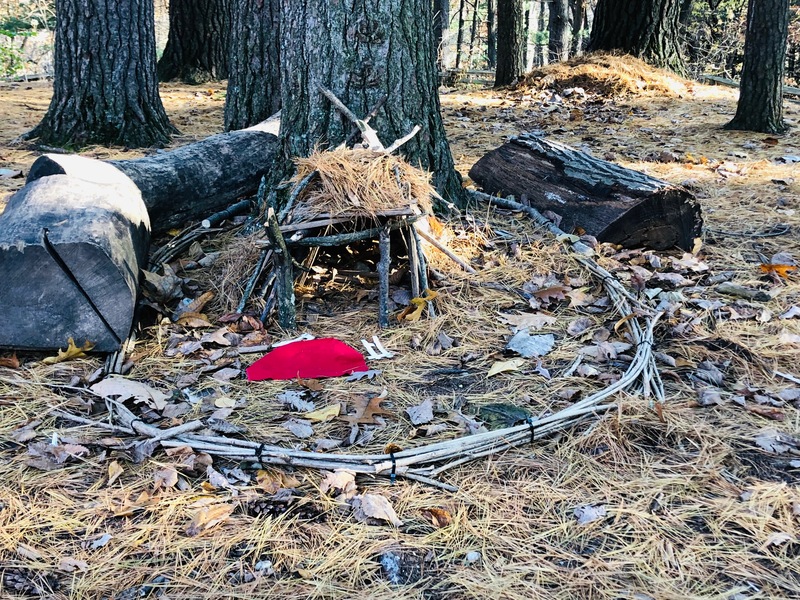 Looks like a camp we’d make in the woods when we were kids. So beautiful, and love the quote! What a wonderful find and also an awesome quote!!! Yes, we must encourage our children’s dreams. May all with open hearts find the love they deserve.